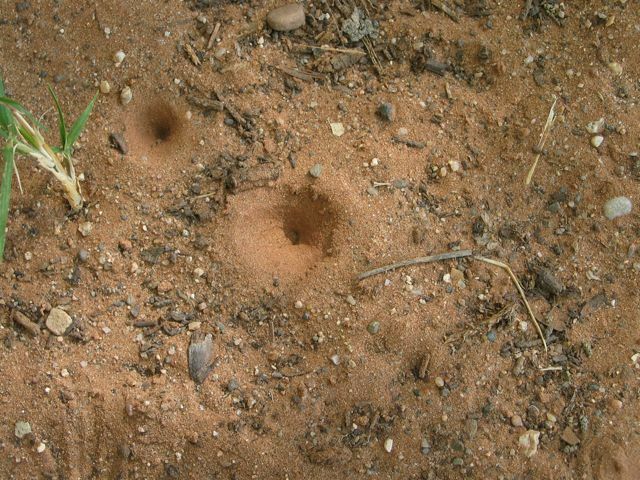 People usually notice antlions when they see their pits in the soil. The cone-shaped holes are fascinating. Kids big and small like to put objects into the pit to elicit a response from the larva buried at the bottom. You have to wonder how the larvae flip the soil with such accuracy when they are buried beneath it. You don’t see the adults as often. 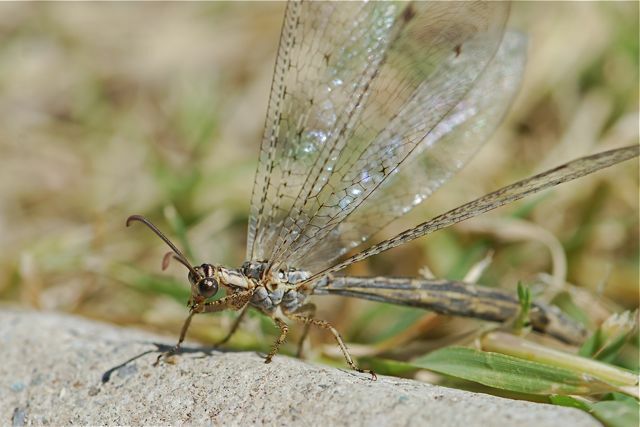 The adult antlion somewhat resembles a damselfly, but they are actually more closely related to lacewings (Order Neuroptera). These were hanging around the buildings at a highway rest stop. Presumably they had been attracted to the lights at night. Hard to imagine this delicate beauty comes from the larva you see in this video. 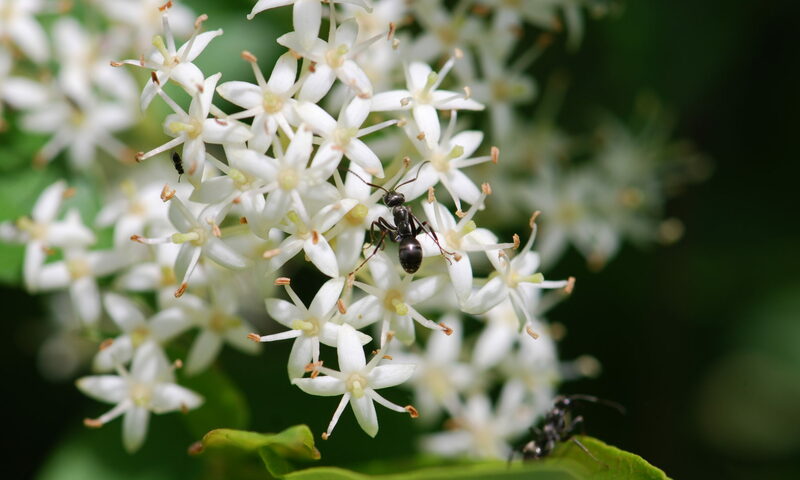 Note: the video contains scenes of violence to ants. 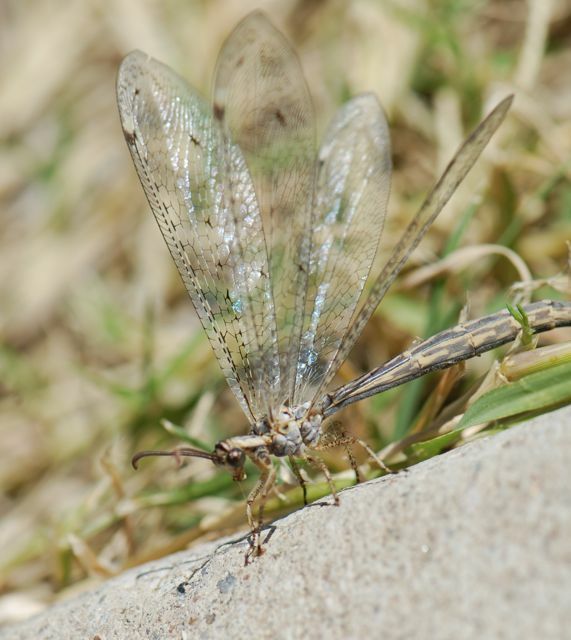 For more information, see this previous post about antlions. 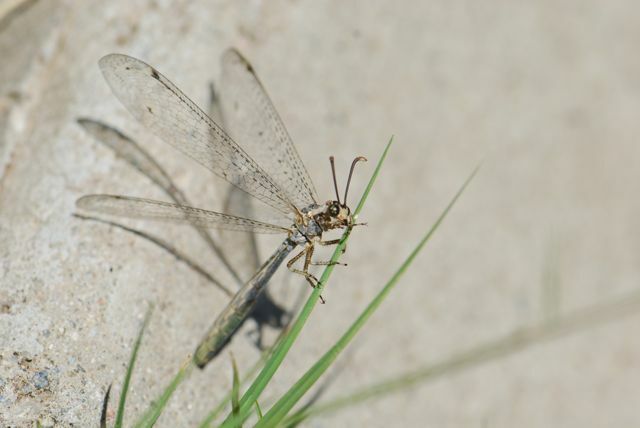 Poll question: Do you think the common name should be ant lion (2 words) or antlion? When I was young, I used to keep antlion larvae in bowls of dry soil on my dresser. I kept them well supplied with any type of small insect I could find. It was really interesting how quickly they could build a new pit trap. I prefer the term antlion. It seems to do a better job of identifying this specific creature. That must have been fun to have antlions. I never saw them before I moved to Arizona.